Like the moths that flit thickly around their outdoor lights in rural Virginia, the words must fly around Carrie Brown and John Gregory Brown’s house on the campus of Sweet Briar College. Because not only Carrie and John are writers, but so is their daughter Molly McCully Brown. Family lore holds that a tiny Molly used to wake in the middle of the night and call for her mother or father because a poem was waiting and she couldn’t yet write well enough to capture it. And she had two parental examples of how to live an adult life: Catch those words swooping around and write them down. 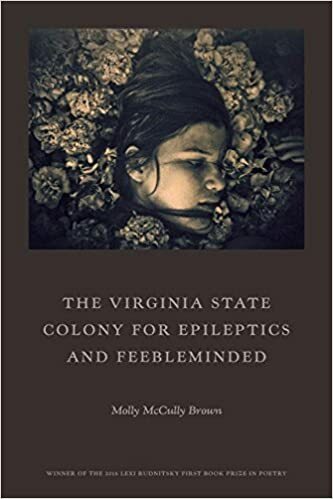 Molly’s first book of poetry won the 2016 Lexi Rudnitsky Prize, and starting in September, she’ll work as the inaugural Jeff Baskins Fellow at the Oxford American magazine. John Gregory and Carrie Brown are returning to Columbia, the town where their family story started, for a reading to celebrate the fiftieth anniversary of the founding of this town. The pair of novelists met while working at the storied Columbia Flier, and then began their family and their careers as authors. They’ll read together at an event June 4 at Slayton House that HoCoPoLitSo is calling “Of Stars and Hurricanes: Two Columbia Novelists Return.” Carrie Brown’s newest novel, The Stargazer’s Sister, centers on the life of eighteenth-century astronomer Caroline Herschel, while John Gregory Brown’s 2016 book A Thousand Miles from Nowhere follows a man fleeing the wreckage of his life in New Orleans after Hurricane Katrina. Both authors’ main characters, while living in different centuries and countries, seek redemption, for a way to save themselves. 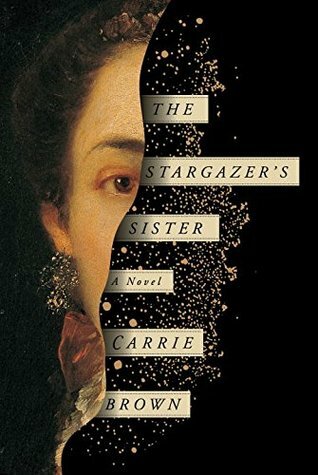 In her opening chapter, Carrie Brown writes that Caroline thinks “a girl was not taught anything that could save her in the larger world.” Desperate to escape an abusive mother and repressive poverty, Caroline is rescued by her elder brother, William Herschel, an astronomer who, with Caroline’s help, discovers Uranus and myriad comets. Carrie explains that the relationship of the siblings – in which Caroline so closely cares for her brother that she sometimes feeds him bits of bread and cheese while he keeps both hands and his eyes on the telescopes he manufactures – was “fertile material” for a novel. The two novelists will read together and answer questions at this event, which also honors Ellen Conroy Kennedy, the founder and longtime executive director of HoCoPoLitSo, and her husband and longtime supporter and board member of HoCoPoLitSo, for their decades of contributions to Columbia’s cultural life. By hocopolitso in Guest post, Lit Up, Uncategorized on May 30, 2017 .